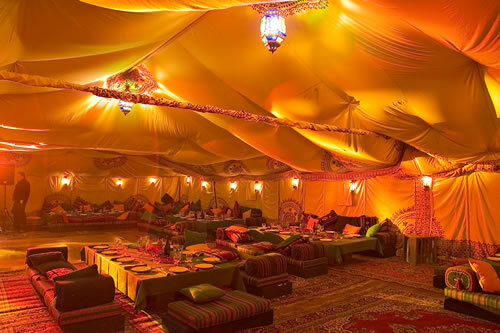 We supply for hire genuine Bedouin tents, and/or Arabian linings for marquees and other interiors, along with authentic floor coverings, lighting and furniture for all sorts of occasions. 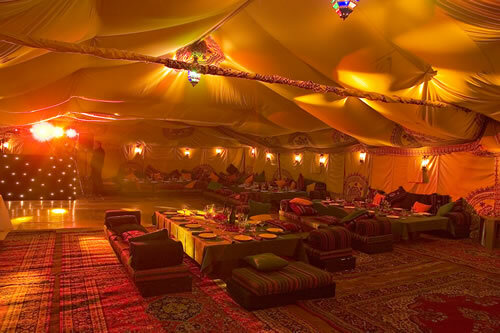 From weddings and birthday parties, to exhibitions, festivals and TV/film sets we can create a truly wonderful 'Arabian Nights' setting for an event full of Eastern Promise. 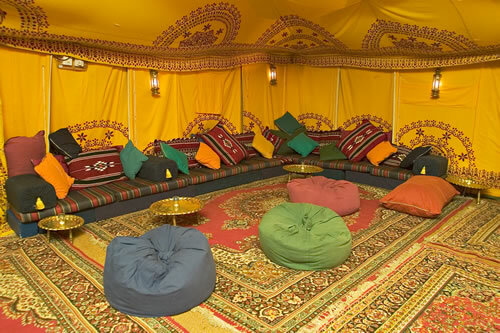 Our Bedouin environments are furnished in traditional Arabian style with thick rugs. 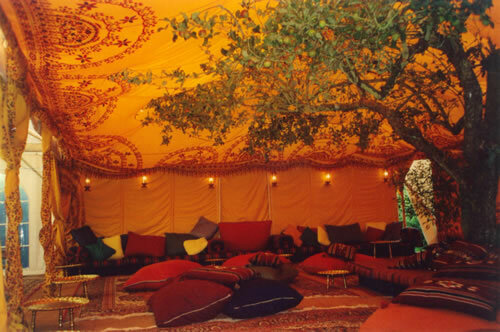 Ottomans and cushions line the walls along with low tables in shining brass, and they are lit by copper and brass lanterns controlled by dimmers. 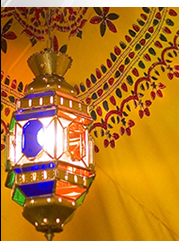 Using incense burners with authentic Arabian incense to scent the tents and decorative Hookah pipes we create a genuine Middle Eastern atmosphere. 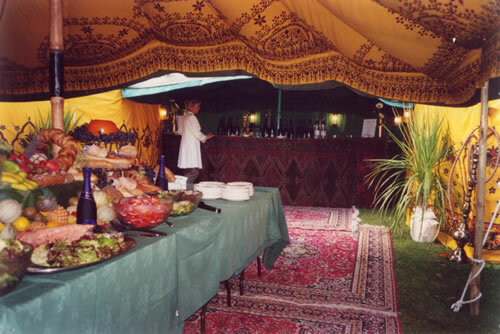 We can cater for any size inside a marquee - even upto 400 guests, no event too small or too large. 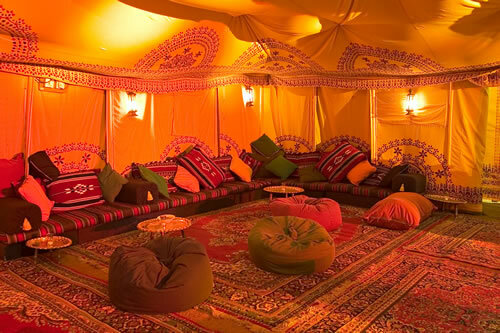 Truly different from the standard marquee lining offer. 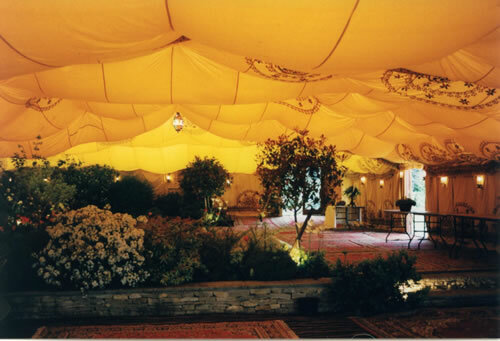 Wow factor is always a success - people never expect to see anything quite so different inside a standard marquee exterior. 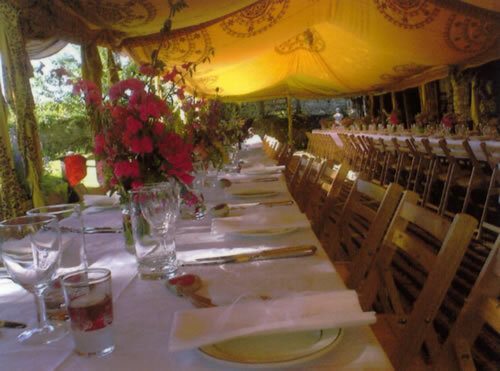 Works well simply as an environment for a wedding party, and often means less time, effort and budget needs to be focussed on other decorations due to it's impact. 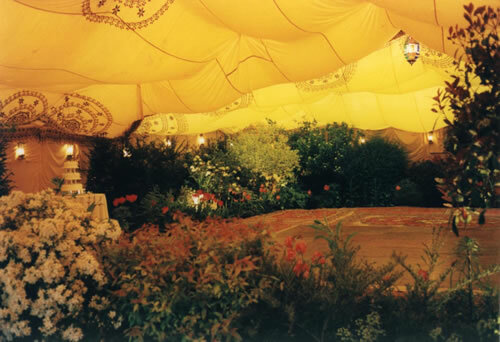 If you'd like to theme the atmosphere for your wedding the look is very adaptable - from Bollywood to Flamenco , Bedouin to Bohemian , they are very versatile. 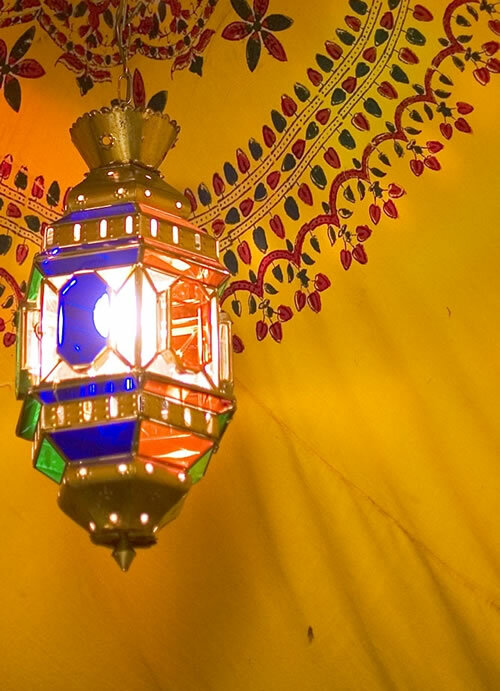 A few simple details in the table decorations for instance can complete the desired effect - indeed a Thai theme using umbrellas, lanterns and bamboo plants, created a wonderfull new approach to the overall look and feel. 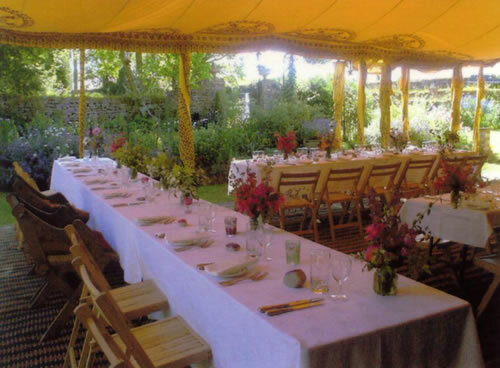 Good for summer weddings due to bright colour scheme and good for winter weddings with the right lighting creating a cosy feel.